The Gupta dynasty was founded by Maharaja Sri Gupta. The precise date of the establishment of the Gupta Empire is ambiguous but it is believed that Sri Gupta ruled between 240- 280 CE. Not much is known about the life of Sri Gupta, the founder of the vast and powerful empire. However, some information can be drawn from the writer’s of I- Tsing, a Chinese traveler. 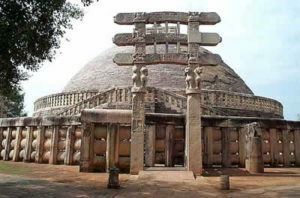 During the early years of dynasty’s reign, the empire was limited to the present day Bengal and some regions of Bihar. The capital of the Gupta Empire was Pataliputra.